Discussion in 'Mapping Questions & Discussion' started by MrAlBobo, Feb 20, 2008. Make sure you have only one sky_camera entity, and that it's in the skybox, not the playing area. Also, check my tutorial on making a 3D Skybox. It might be easier to read. nope...the camera is not there...however...the red blue and green lines that mark where it used to be are still there, can and how would i delete them? What skybox model is larger than your entire level? What lighting have you placed in the level so far? Make sure that the sky_camera is in the right position to display the skybox to coordinates 0,0,0. If it isn't, you can easily find yourself walking out of the skybox. The 0,0,0 coordinates are a reference spot of the sky camera entity. Ah, yes. That prop is huge, don't worry about it. It's designed to replicate a huge coastline / hill range. When you start up the game, go into your console and bind a key to the jpeg command. For example, if I wanted to use F9 to take jpeg screenshots, I would type: bind f9 jpeg. Then, in game, pressing f9 would take a screenshot and place it in your root tf folder. 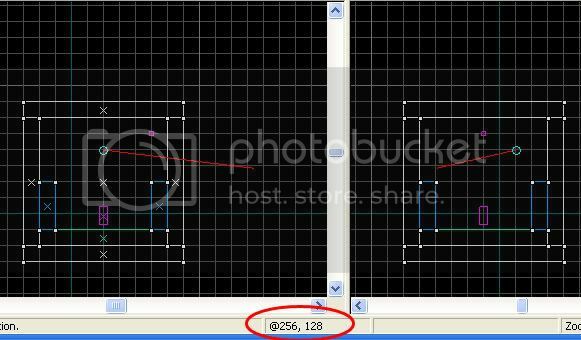 as for the editor...do you just want the camera or the grids as well? and then i just have another question...How long should it take on average to get a map done? Ive been at it for about a week and a half and im almost done (depending on how much effort i put into the appearance) granted ive been averaging about 6 hours a day in hammer, but still. Maps can take anywhere from a 2 week intensive blitz of something like 16 hours a day to a leisurely 6 months at 2 hours a day. It depends how fast you work, how much you have to change things and how much time you spend. Wherever the Sky_camera entity is , it will begin to display at 0,0,0 when the map is spawned. Don't put the Sky_Camera at 0,0,0. Once the sky_camera is in the skybox, it will scale it up, so you must make sure that the skybox is bigger than the playfield. By default, the skybox is 1/16th the size of playing area. im confused...you want me to have my sky camera at the origin? Okay, those were the right steps. I just wanted to clarify that. any other ideas on what could be causing it? Well I don't know anything about that error and I don't use the beta of the SDK. I can say a bit about 3d skyboxes. It took me a little while to figure out, I think the tutorials available are somewhat lacking individually. Basically what you want to do is create your entire map. Then align it so that its centered at 0,0,0. Failing that you can adjust the position of the sky camera inside the 3d skybox. Step two is to copy all the brushwork in your map, and when you have it all selected, use ctrl+m to scale it down to 1/16th size in x,y,z (I believe it's 0.0625 but I will leave you to do the math). Now create your 3d skybox around the reference geometry you created. So whatever displacements and models get placed around the reference geometry of your map. Then put the second skybox around that. Now place the sky_camera in the center of your reference geometry, and delete the reference geometry. Make sure your map is sealed because if it isn't, it will use your entire map as the 3d skybox. I learned that one the hard way.